Instagram, the most popular photo and video sharing app, is also a wonderful place to invest your ad dollars. Instagram advertising has begun to take off in the last few years given the visual nature of the app — it is perfectly built for advertising and has Facebook’s robust analytics software backing it. Instagram offers multiple advertising options and works especially well to reach young audiences. Seventy-one percent of adults ages 18-29 use Instagram. We’ve broken down below Instagram ad sizes by ad unit to help you get started advertising on the platform. These are ads that emulate the format of Instagram posts. Native formatting is the key here. 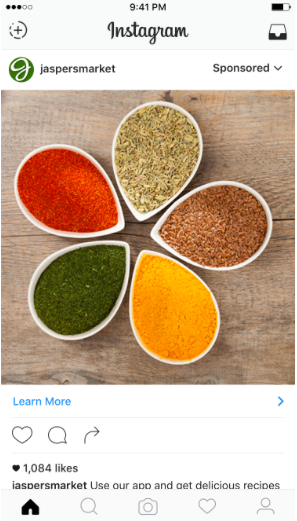 Placing a single, striking ad image for users to see is a surefire way to attract them to your company’s Instagram page. 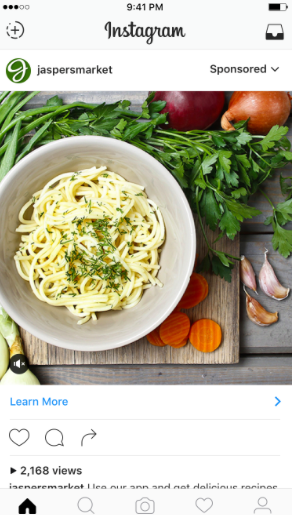 A pro tip: study the rules of a good Instagram post and try applying them to your ad. Carousel ads are the perfect option when you have multiple images or videos to display in one sponsored post. If you’re trying to advertise a vacation getaway to the Bahamas, for example, you could use the carousel feature to showcase all of the different things that consumers can experience by going there. Thumbnail image ratio: Should match the aspect ratio of your video (1:1). Your thumbnail image may not include more than 20% text. 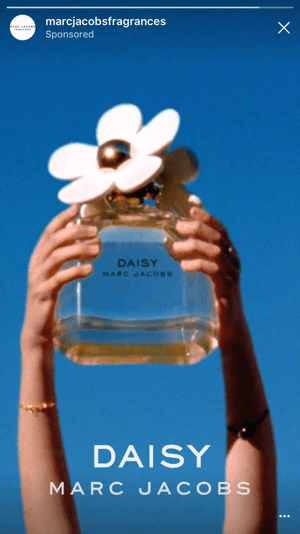 The beauty of advertising on Instagram is that your efforts are not solely relegated to image-based advertising. Since you can post videos as well, try leveraging those features to give some diversity to the ad content you post on there. 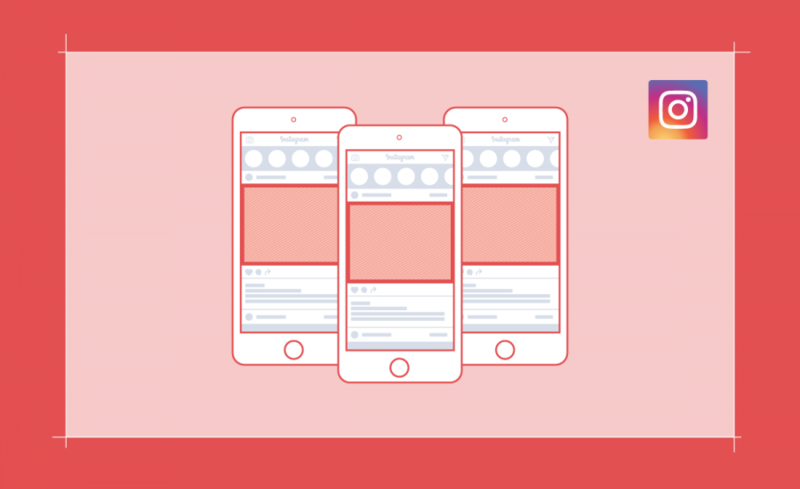 Thumbnail image ratio: Should match the aspect ratio of your video. Your thumbnail image may not include more than 20% text. With over 400 million users, Instagram Stories Ads provide a wealth of opportunities for advertisers. These ads appear in between the stories users watch from the people they follow within the app. They run full-screen for five seconds as a photo and for up to 60 seconds as a video. Carousel videos run up to 15 seconds. Tip: Use images with little or no overlay text to maximize ad delivery. The ad potential on Instagram is great. The most crucial thing is to understand it first before diving in thoroughly. 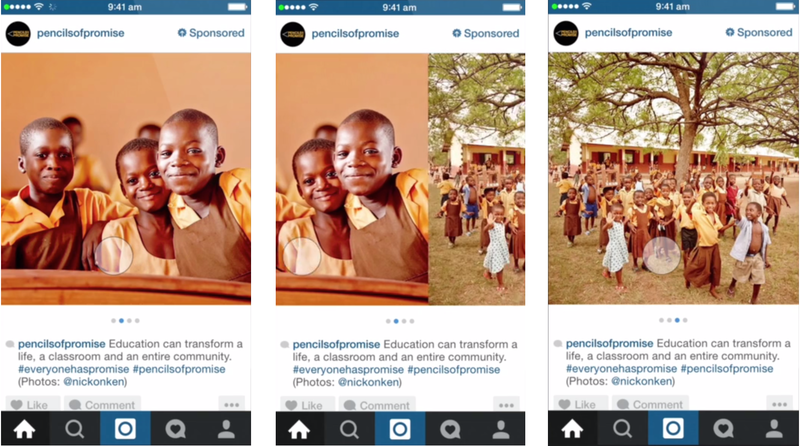 There are a variety of ways you can advertise on Instagram that suits most business needs. Now that you’re equipped with the technical knowledge provided here, try incorporating it into your Instagram advertising efforts and see what it can do for you.